Big Bear is home to a diverse range of exciting outdoor recreation, from snowboarding and skiing during the winter months to water-based activities like boating and kayaking during the summer. Few experiences parallel that of taking to the water on a kayak, embarking on a journey of strength and discovery, propelled only by your own reserves and an intense desire to see the water-bound world around you for yourself firsthand. Grab life by the paddle and see what Big Bear kayaking locales have to offer during your time here! No list of the best places for kayaking in Big Bear would be complete without pointing out the most obvious one of all: Big Bear Lake, the town’s namesake lake on which so many spend long hours of their vacation days traversing the glittering surface by watercraft or fishing from its idyllic beaches. Located all along Big Bear Lake’s winding shoreline are marinas from which you can set off on your Big Bear kayaking adventure, including Big Bear Marina, Pine Knot, Pleasure Point, Holloway’s, and Captain John’s. Which one you choose will depend on the parts of the lake you want to visit, or maybe even your plans afterwards. Pleasure Point, Holloway’s, Big Bear Marina, and Pine Knot are all located on the south shore of Big Bear Lake, with Pine Knot and Big Bear Marina being within a handy distance of the Village area and Holloway’s and Pleasure Point located on the west side of town. 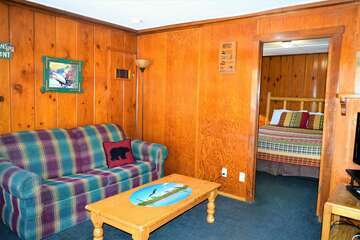 Captain John’s is situated on the northern shore, next to the scenic seclusion of Big Bear’s northern neighbor known as Fawnskin. Out in the middle of Big Bear Lake, kayakers can enjoy the unique experience of paddling up next to the narrow rock passageways near Garstin Island, or along the hidden coves that dot the shore. The Boulder Bay Park area is another excellent choice for exploring places where boats might not maneuver as easily, providing you with a challenge at the same time. Big Bear Lake is the most renowned place to kayak in Big Bear because of its calm water, mysterious shoreline coves, and the picturesque backdrop of dense forests and stark mountain peaks. Bird watching and fishing are also popular pastimes that many kayakers engage in during their water-bound excursions. 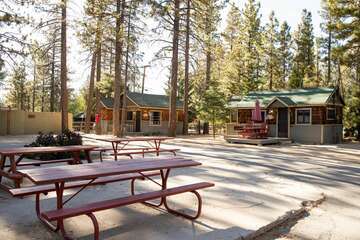 All along the shores of Big Bear Lake, you’ll encounter a variety of marinas where you can rent out kayaks, purchase equipment, and push off from the shore. On the northern shore of the lake, there’s Captain John’s Fawn Harbor Marina, which offers one and two-person, or tandem, kayaks ranging from $20 for a one-hour rental to $85 for an eight-hour rental. There’s also a Captain John’s Marina located on the southeastern end of the lake closer to downtown Big Bear. Other marinas and rental providers located around the lake with similar rates include Getboards Kayak & Paddle Board Rentals, Big Bear Marina, Big Bear Paddling, Paddles and Pedals, and Pine Knot Marina. If you already own your own kayak and gear, there are two public boat launches from which you can depart: one located west of Fawnskin, and one located east of the Stanfield cutoff. Additionally, you’ll need to purchase a day-use permit (about $20) from either a public boat launch or a marina, and your kayak will need to undergo inspection for Quagga Mussels, which are considered an invasive species in North America. Once you’ve been cleared through inspection, you can start kayaking in Big Bear! Big Bear kayak rentals are a great way to explore the beauty of the area, but they aren’t the only way. 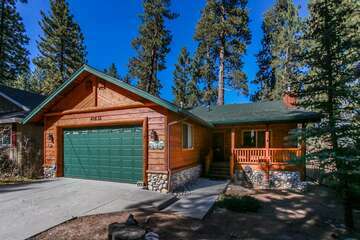 Learn more about the excitement that awaits you within the charming alpine town of Big Bear, California when you book your trip accommodations in one of the traditional mountain cabins that Big Bear Cabins has available for your stay today!